Winter is finally over and it looks like spring is here to stay - hooray! We all know what that means – Easter is just around the corner! Easter is traditionally a time for chocolate eggs, bunnies, spring time and family fun, but that doesn’t mean the entertainment should stop at the door of the office. Embrace the excitement of the season and allow the Easter spirit into your workplace. 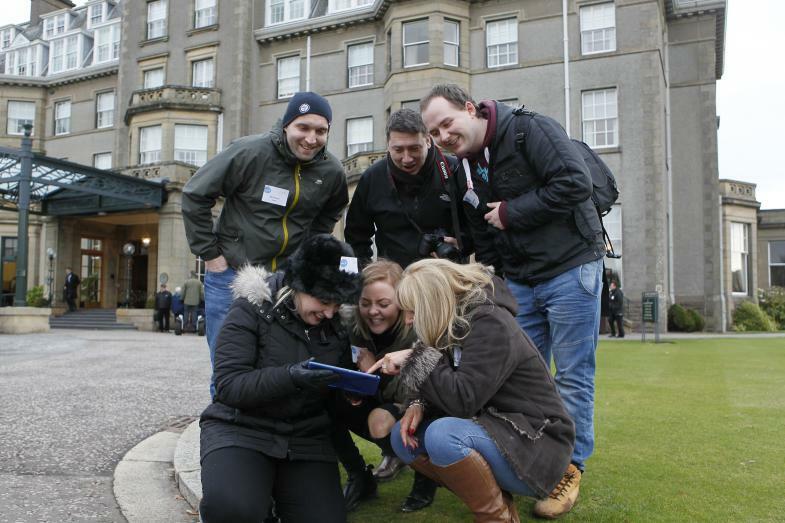 The weather at this time of year can be unpredictable at best, so if you don’t want to take your chances with the great British weather, you can always plan some digitally enhanced team building activities instead this spring. Since it is Easter, what better activity to organise than an Easter egg hunt? You may think that Easter egg hunts are an activity specifically reserved for children, but there is no reason why you can’t make the most of the holiday within your workplace too. In fact, a digital Easter egg hunt could be the perfect way to celebrate the occasion while having fun and bonding with your colleagues. Take your team bonding afternoon to the next level with some tech based team building and put a brand new spin on this seasonal classic! A digital Easter egg hunt is not only ideal for those looking for a quick chocolate fix but is a great way to bring the whole office together, too. A digital Easter egg hunt works in much the same way as a traditional hunt, just updated for a modern audience. Using state-of-the-art technology, eggs can be hidden in a location of your choice. Then, when participants get close to the locations during the hunt, a clue about the hidden egg is revealed thanks to GPS triggered software. Once it has been found, hunters are then directed towards the location of the next hidden egg. With tech based team building challenges, interactive Easter events have never been more fun! Another popular seasonal alternative is an Easter-themed quiz night for you and your colleagues. Divide the office up into teams and really ramp up the competition! Whether your theme is about Easter or even just chocolate, there is always a way to make your next team building event more interesting. And what could be more perfect than gifting the winning team with a nice chocolate egg? For something different, why not organise a fancy dress day in your office this Easter? Get everyone on board and see who can come up with the wackiest Easter themed costume. Make it even better by fundraising and donating all your profits and proceeds to a nominated charity of your choice. If you’re really feeling adventurous, why not make a day of it? Plan a series of fun team building events for your colleagues that tie in with the theme to keep the Easter spirit going all day long. Of course, if your Easter event has given you a taste for the success team building can bring, you may want to look into other team building events. From indoor team building activities with a digital influence to corporate days out, we have a wide range of team building events perfect for the individual requirements of your employees. Contact us today for more information about the indoor team building activities that we can offer you.